Ever considered protecting your caravan with an Agreed Value policy? If you believe that the current market value of your caravan doesn't reflect its true value, having an agreed value policy with Adrian Flux is perfect for you. In the event of a total loss accident or theft, you will receive the full value of your caravan and not be left short changed. Caravanning is a hugely popular pastime in Britain; owners can travel all over the UK, to Europe and beyond. With so much time being spent on the road, at different locations and countries, having a comprehensive and robust insurance agreement is important. 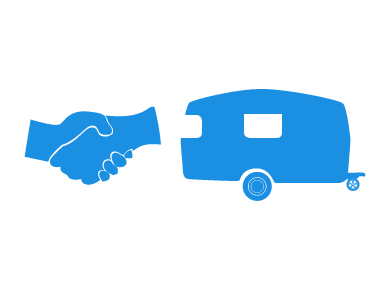 With our positive attitude towards caravan owners, combined with our flexible policies and excellent customer service, we are sure that you will find the agreed value policy to suit you. For further details on our agreed valuation policy, browse the list of features below or contact our team if you have any questions. Access to our 24-hour claims line where our specialist claims advisors are waiting to help you at any time. Policy Valuations by our expert team only costs £15 to Adrian Flux customers. Start your journey with Adrian Flux today and take out agreed value for your caravan, ensuring you will not lose out in the case of a total loss accident or theft. For further information on Agreed Value for your caravan, or to arrange a free callback for a quote, call 0800 369 8590.